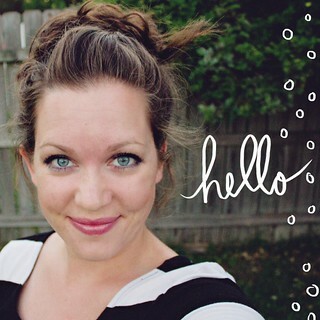 The second part of my cousin’s sons fourth birthday is all about bugs! When I asked her what he was into she said he’s all boy (bugs, cars, you get it). 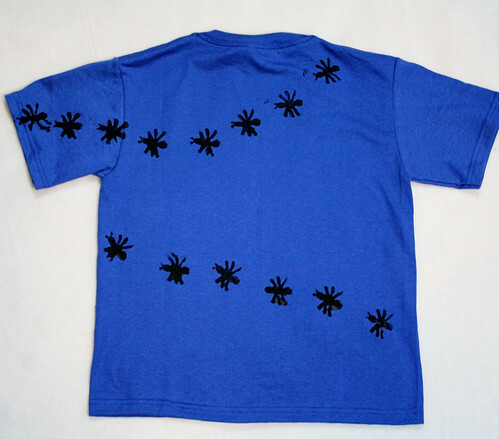 So, the little one and I had fun with a potato stamp of an ant on this shirt. I call it “the ants are marching” shirt. 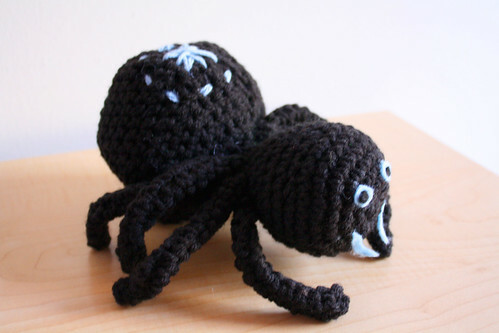 Then, I wanted to crochet something and found this cool spider crochet pattern on Ravelry. So cute! I love the ants. Did you just freehand a design on the potato? Those are so cute. 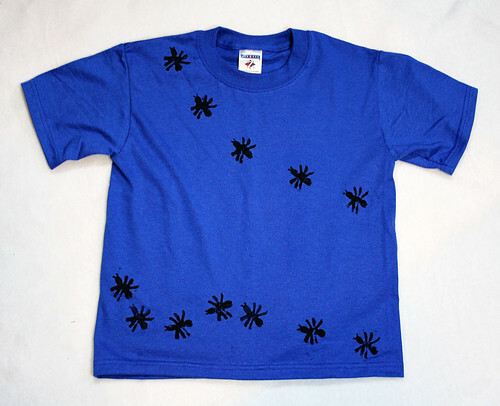 I love both – the t-shirt and the spider – I think I like the spider best…. I lvoe the spider. Looks good! 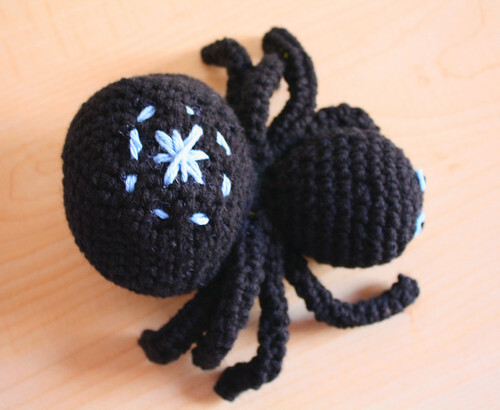 I wish I could crochet that. I don’t think I’m good enough crocheting to make it though.